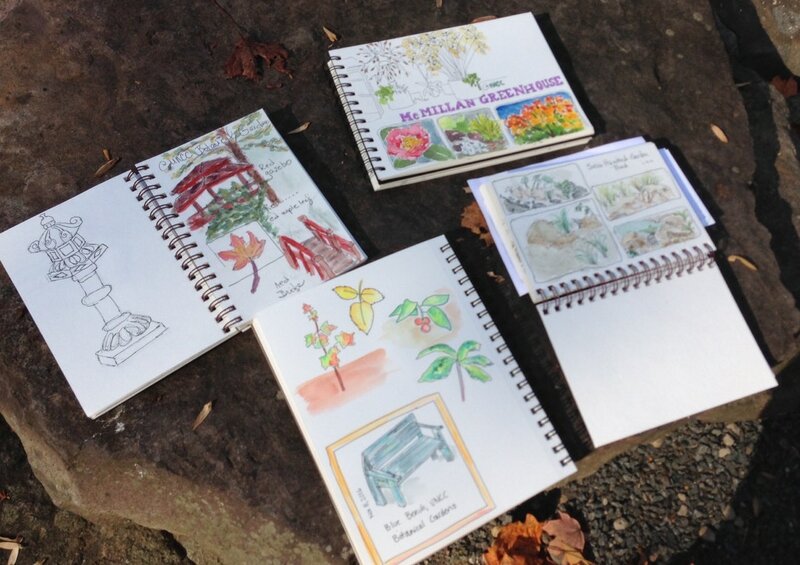 2 New Urban Sketching Watercolor Classes! Beginners: Join me in the Ciel studio and around the South End neighborhood to learn the art of urban sketching with pencil, ink pens and watercolors. Lessons will include color basics, quick sketching, composition, editing and lettering. 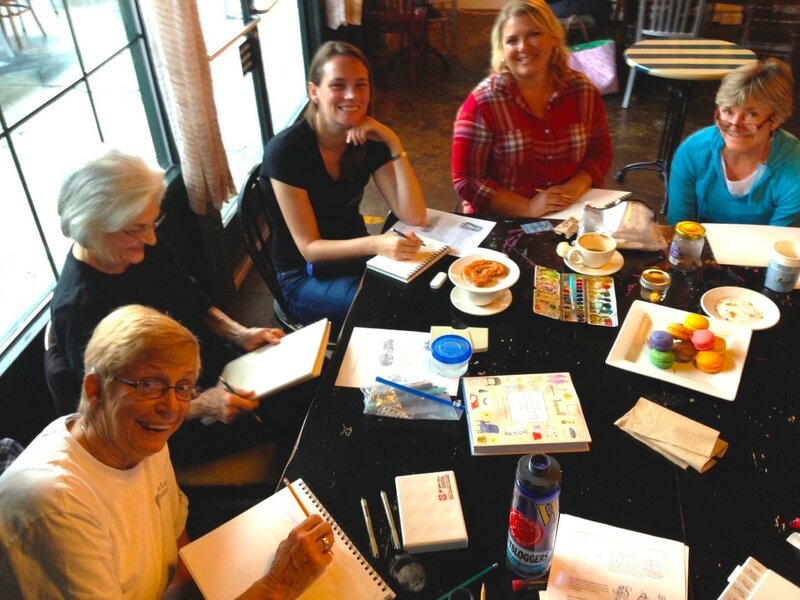 Intermediate: Hone your on-the-go sketching skills in different locations across Charlotte. Students with some basic watercolor technique knowledge will have fun working in the camaraderie of a group and will build confidence to sketch at home and on vacation. Learn how to build strong compositions and record location information quickly. First class will meet at Ciel Gallery and walk around the neighborhood to paint; subsequent class locations will be announced. See the supply list and register here! ​$30 for each session includes mixed media supplies, snacks, party drinks, laughter, and camaraderie. Come roll up your sleeves and dig into your creative self with this monthly gathering of mixed media fun! Each month Caroline will offer a different theme, prompt and supply extras. You can bring your visual journal or work on supplies provided at the gallery. We will use acrylic paint, chalks, paint pens, stencils, stamps, tissue, collage and anything else we can throw into the layers. All levels of art experience are welcome and all supplies are provided!